Creating a hospitality experience concept for a 10 year anniversary. 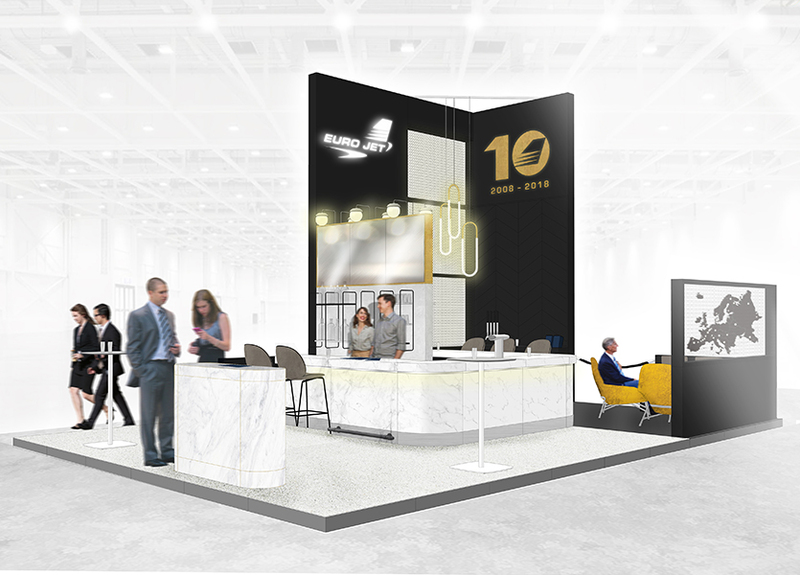 Leading provider of aircraft ground support services, Euro Jet, planned to celebrate their 10th anniversary at EBACE. 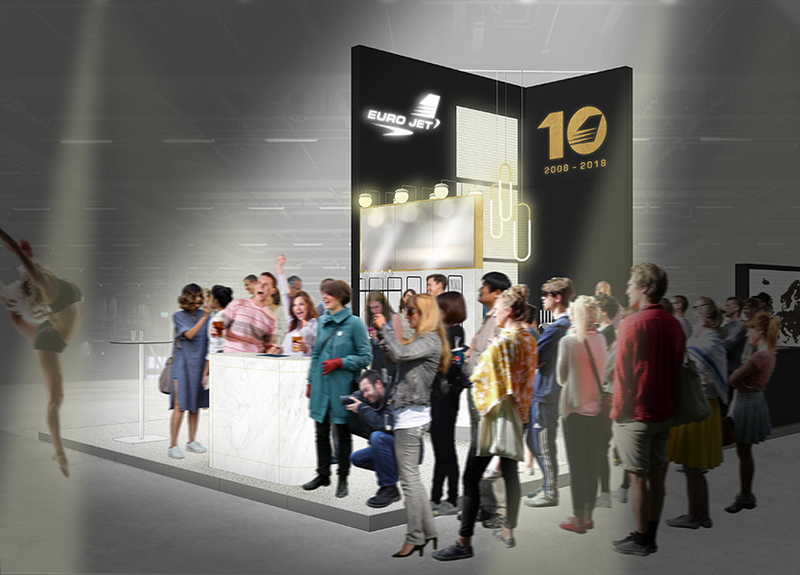 They required a hospitality experience rather than an exhibition stand to celebrate this important milestone including a bar to host 80 people, private meeting room to accommodate up to six people and more. As designers, our role is one of storytellers. We work collaboratively with our clients to help conceive and refine their vision and articulate it imaginatively into touch points, channels and experiences.